Hellenistic acropolis (early 3rd century BC). The isodomic fortification wall, 2.50m. 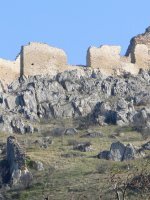 thick, is built of limestone blocks and surrounds a doublepeaked knoll. Towers, 7m wide, are spaced across its course. 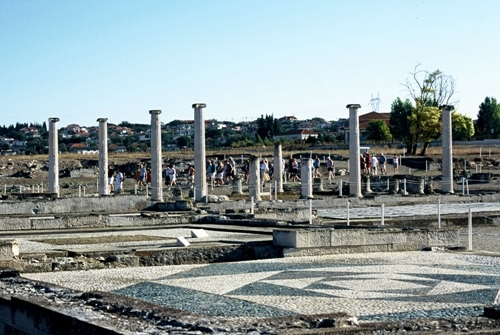 The site is identified with the ancient Thessalian city of Proerna. 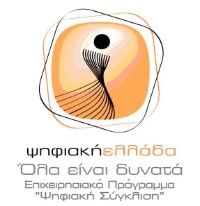 Gynekokastro is located 15 km SW of Kilkis Town, 45 km. of Thessaloniki town 35 km of Goumenissa. 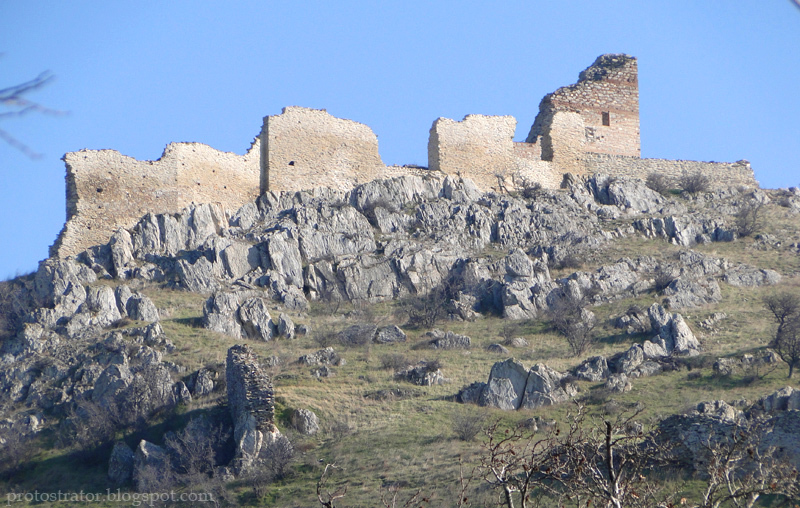 The castle was built by Andronikus the 3rd the Paleiologos, during his kingdom (1328-1341). The most probable year ofr it's construction is 1334right after the redefinition of the bysantine-serbin borders to the further south. 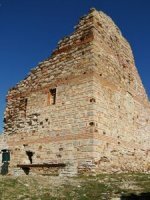 It was built to protect from the attacks atempted frm the North -mainly by the Serbs wich was an upcoming force- as well as to protect the town of Thessaloniki. 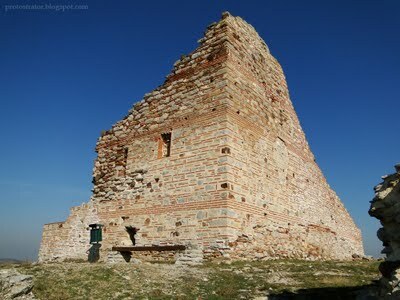 It was also used as the place where all the crops of the Macedonian valley where concentrated in order to be protected. 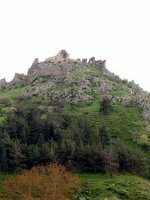 It was named "Gynekokasto" (gynaika=woman + kastro=castle), as it was implied that the fortification was so strong that even women would defend it. 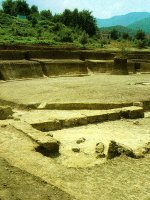 Evropos is one of the most remarkable archeological locations of the region, located in the district of Paeonia about 1km southwest of the present village. with findings dating back to the prehistoric era. 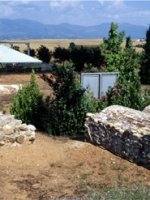 In the excavations in the area performed in 1989, a necropolis was discovered, confirming the ancient place-name as being the one in use today. 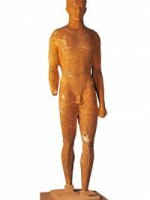 The earliest indications that the old city had been inhabited come from the prehistoric settlement at the heart of modern municipality.It is mainly known as the archaic, full scale (1.80 m height) statue of Kouros dating to the 6th century B.C. 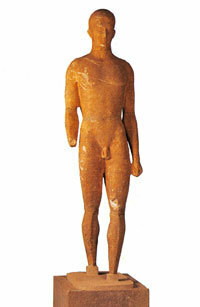 It is a statue of Cycladic styleand is the only Kouros statue found in north Greek region. 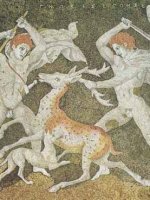 It is housed in the archeological museum of Kilkis. 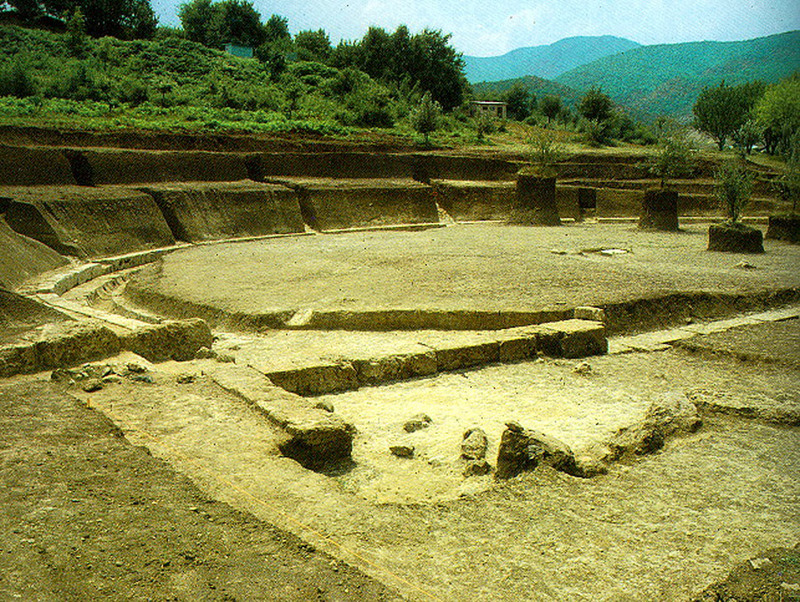 It is probably the most famous archeological area of Macedonia in the world. 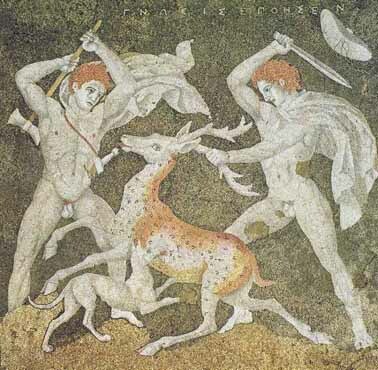 In Midas gardens, as Herodotus mentions, mythical Macedonians created their capital city Aeges. 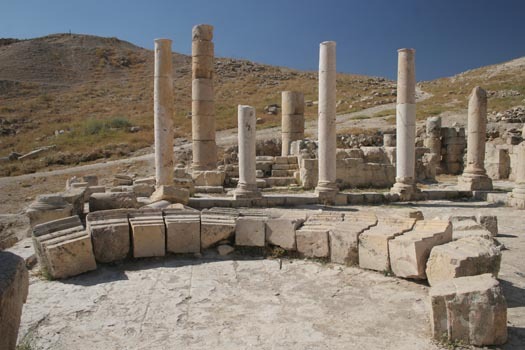 The first amazing palaces of Macedonian kings were built here as well as the foundations of the Macedonian state. Aeges dominated as Macedonian capital city until the 5th century B.C. 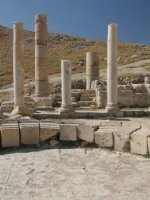 when king Archelaos transferred the capital to the coastal (at that period) city of Pella. 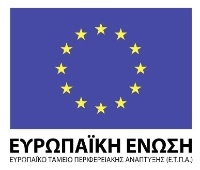 It is located 12 km SE of Veria. 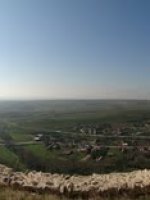 The most remarkable and breathtaking archeological site in Macedonia where the royal tombs of Megali Touba (Great Tumulus) stand. 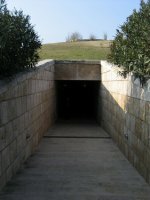 Inside an earthen hill lies Filippos tomb (and other royal tombs) which were discovered by archeologist Manolis Andronikos. 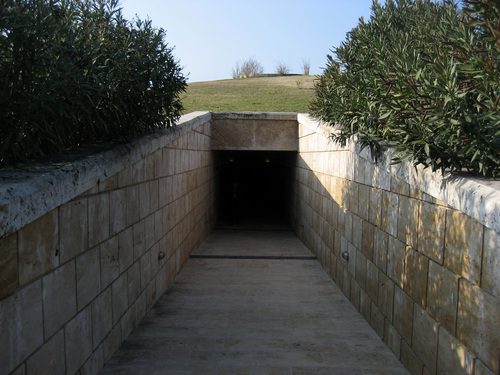 The tombs and the interior of the tumulus have been turned into an amazing museum where impressive findings are exhibited (jewels, chaplets, dedications, etc) found in the not robbed royal tombs. 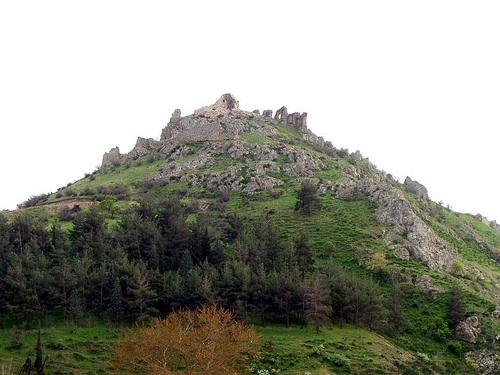 The citadel with the five towers and the big parts of the fortified yard. Aeges palace built in the second half of 4th century B.C. on a beautiful flat area fortified by the tall mountain. The ancient Aeges theater, which is one of the oldest stone theaters in Greece, constructed approximately in 349 B.C. 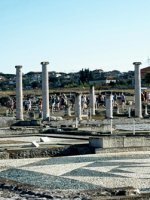 The ancient market of Aeges which was the center of the ancient city. Kibeli sanctum where the mother of gods was worshiped. Timios Prodromos monastery built in the 14th century on the lush green foot of Pieria mountain chain, with view of Aliakmonas river valley.